You may note the mention of “flash freezing” here at Once a Month Meals. We use it in reference to saving fresh produce or quickly freezing cooked items to cool faster. We are going to take a more in depth look at what flash freezing means to the OAMM way. 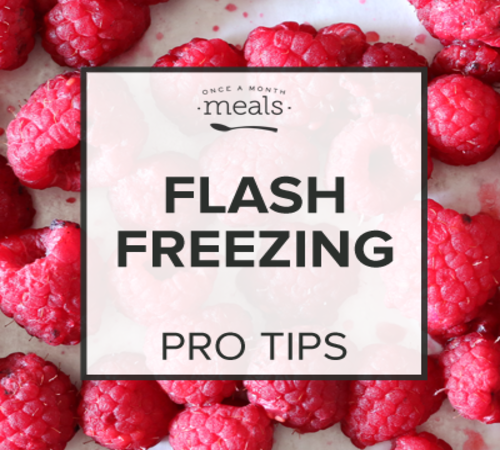 Flash freezing for the home cook refers to the individual rapid cooling of foods to quicken the overall freezing process. By accelerating the freezing process, you preserve nutrients more effectively, prevent the food from sticking together and reduce the size of the ice crystals formed thereby increasing moisture retention in the thawed product. We have found this approach to freezing most beneficial for two different types of products: produce and baked goods. Whether you are stocking up to bring a burst of summer to your baby food or an assortment of breakfast delights blueberries are a great option to purchase on sale and flash freeze for use in the weeks or months that follow. To flash freeze them you simply wash the blueberries, remove any errant stems, dry them a bit and then place them on a cookie sheet in a single layer. Then the cookie sheet with the blueberries goes into the freezer for 10-15 minutes or until the berries are partially frozen and somewhat firm. They can then be placed immediately in a freezer bag for storage. 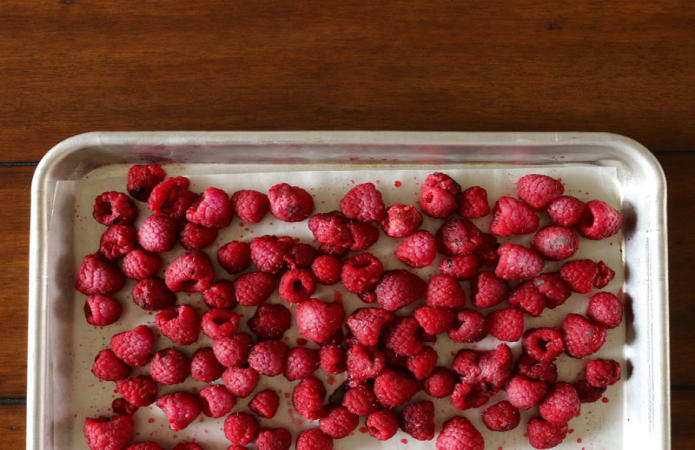 Like blueberries, raspberries can occasionally be found at a sale price that cannot be passed up. Following the same procedure as the blueberries, they can be washed, dried, put on a cookie sheet in a single layer and then placed in the freezer. Once hardened, they can then be moved to a freezer bag ready to enjoy in any number of sweet or savory dishes alike. Flash freezing often comes in handy with mushrooms also. Especially since they can be used in cream of mushroom soup, breakfast wraps and just about everything in between. Mushrooms are one type of produce that seems to go on sale throughout the month and can be purchased pre sliced or whole. If only the whole ones are on sale, you can always slice them at home in your food processor before flash freezing. The same method outlined above for the berries can be used to freeze mushrooms as well. You will see the term “flash freeze” used when referring to items that are baked in the oven. 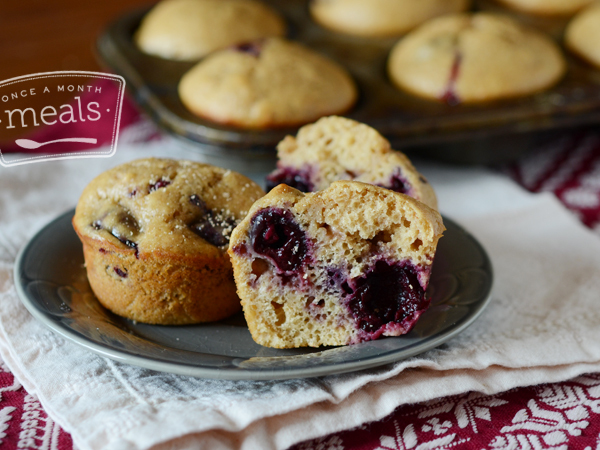 Once these baked goods come out of the oven, if they are placed directly into a container or freezer bag they will produce excess moisture or stick together with any other items they are touching. When there isn’t room to let them cool for an hour or so on your work surfaces, flash freezing them is a great way to cool them quickly while keeping unwanted moisture and sticking at bay. For baked items, the flash freezing process looks much as it does for produce. You place your items in a single layer on a cooled cookie sheet or tray. We sometimes let them sit out in the open for 15-20 minutes before starting this process to prevent them from being too warm. You then place the tray in the freezer for 10-15 minutes or until the baked goods have cooled completely or are starting to harden from freezing. Then you can remove them and place them in freezer bags for storage. Since there may be some flash freezing to do on your big cooking days, it’s a good idea to clear out a cookie sheet size area in your refrigerator freezer for this purpose. Being in close proximity to your cooking area, it helps keep your process streamlined and can save your chest or upright freezer from working too much overtime. After all, it’s going to get inundated with all those delicious meals at the end of the day. Hopefully you now have a better idea of what flash freezing is and it’s benefits. This is by no means an exhaustive look at the topic or resources available to you. We have found it’s been helpful to keep a few pages from the National Center for Home Food Preservation site at the ready if we need a quick answer or reference on flash freezing specifics. Below are a few of our favorites for you to peruse. How Do I Freeze? 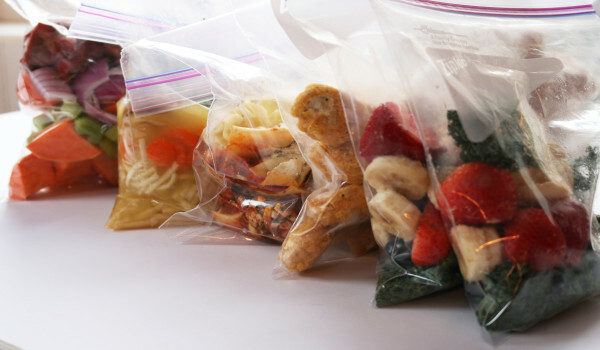 – A one stop spot for all of the produce items that freeze well and how to prepare them for the freezer. 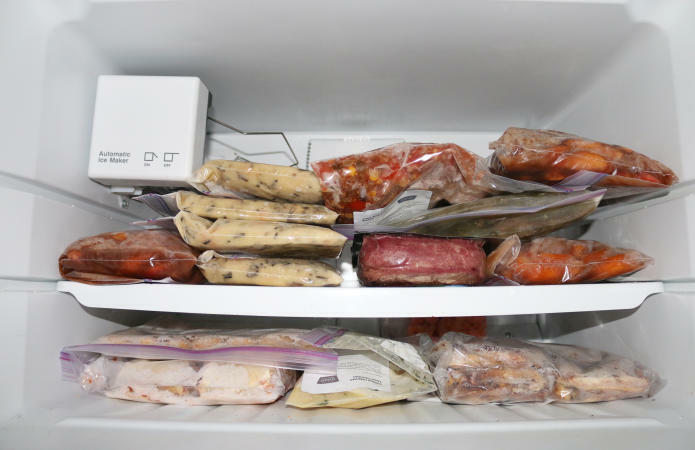 How Long Can I Store Frozen Foods? Very helpful for me to prepare foods ahead for my elderly Aunt and Uncle. This I hope will encourage better eating habits with less for them to do to consume healthy meals more often.